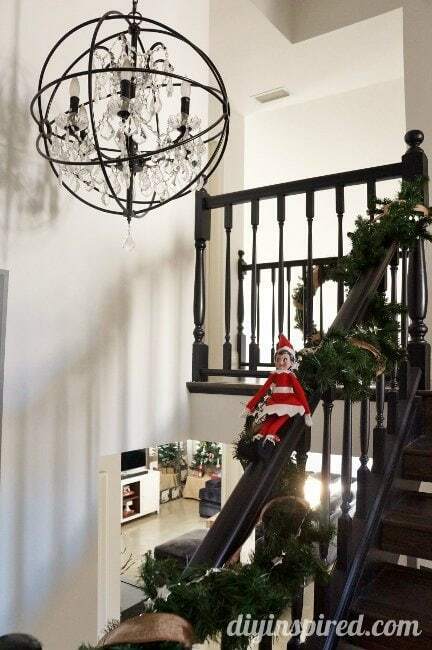 The other day I shared what Josie our elf did for days 1-10. 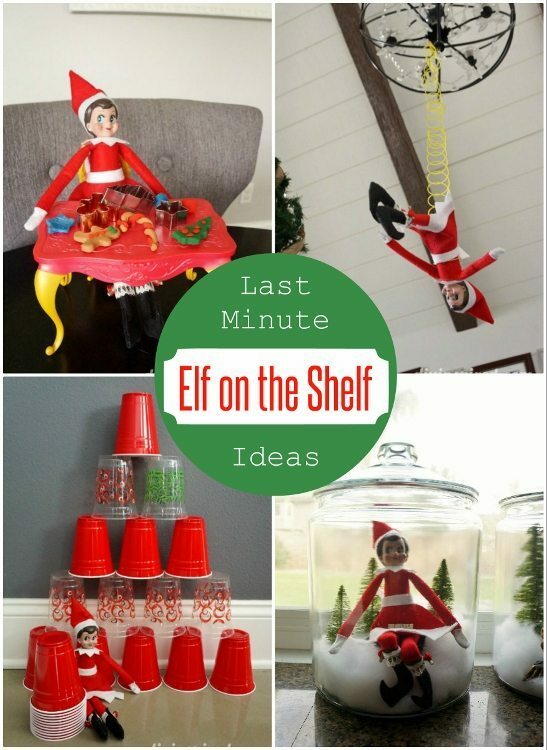 Today I thought I’d share her antics for days 11-20 for some last minute elf on the shelf ideas. 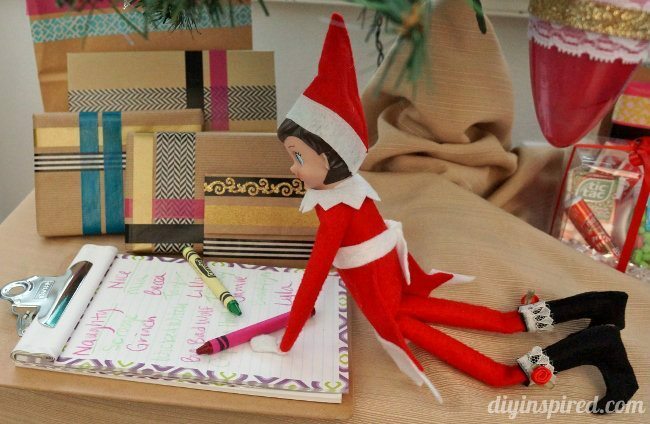 Day 11: Josie was writing a “naughty and nice list”. 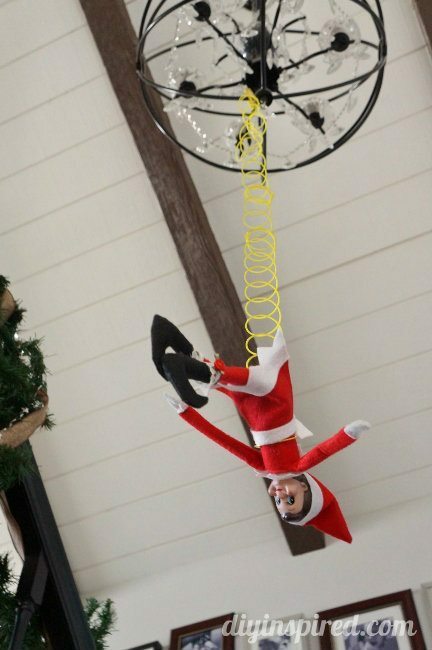 Mia’s friends from school were on the nice list, while Scrooge, the Grinch, and others were on the naughty list. 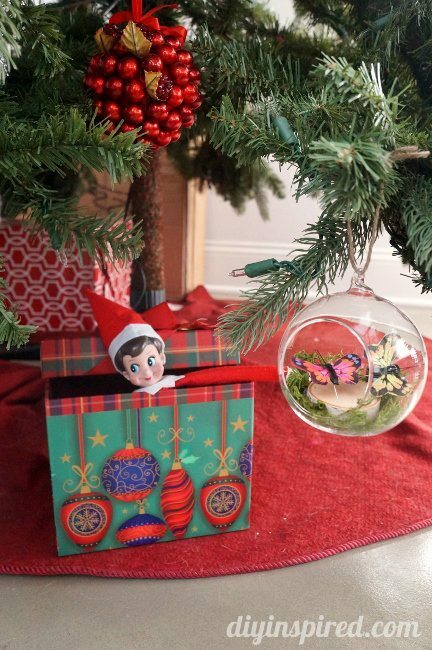 Day 12: Josie was caught hiding in a present under the Christmas tree. 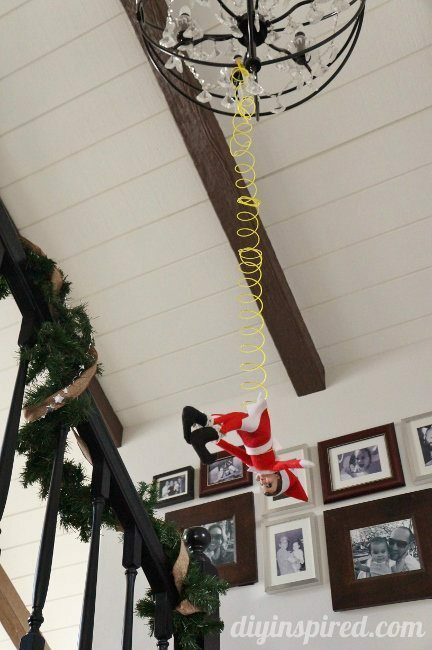 Day 13: We found Josie the bungee jumping Elf over our stairs. 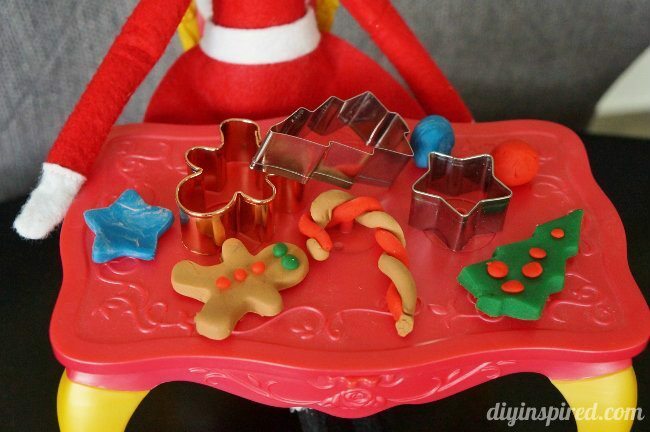 Day 14: Josie was making Playdoh cookies on the kitchen table. 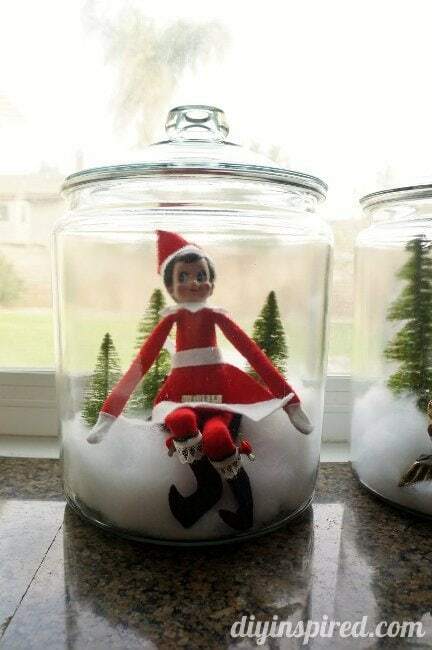 Day 15: Josie was found in a winter scene in a jar in the kitchen. 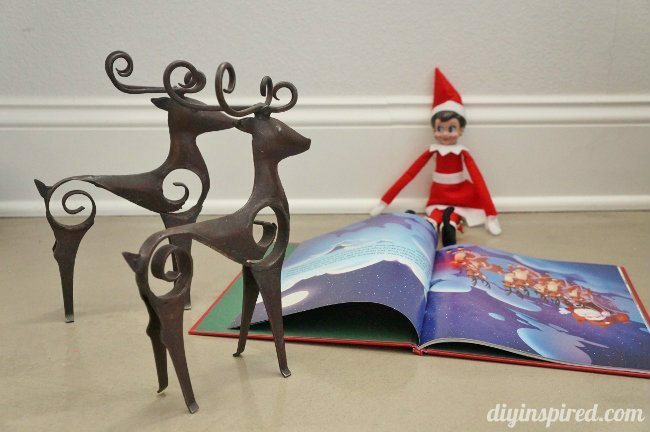 Day 16: Josie was reading some reindeer “Rudolph the Red-Nosed Reindeer” for the 50th anniversary of the show. 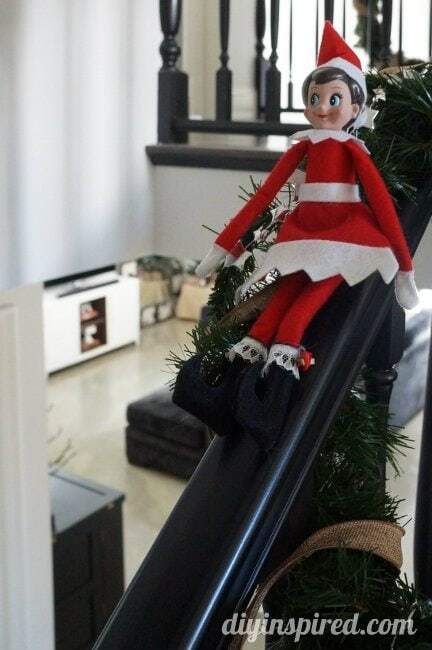 Day 17: Josie was having fun sliding down the staircase railing. 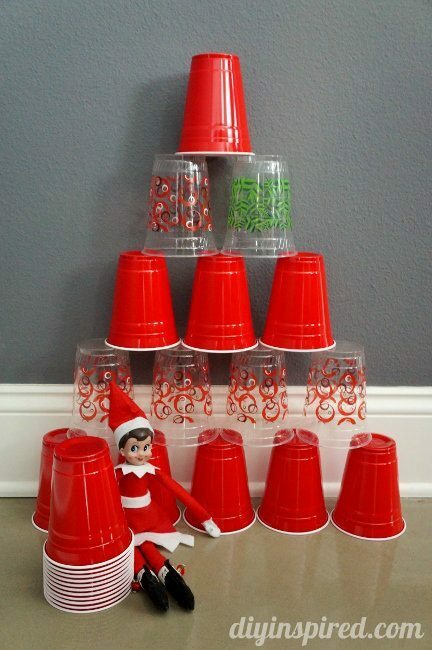 Day 18: Josie was caught stacking Christmas cups. 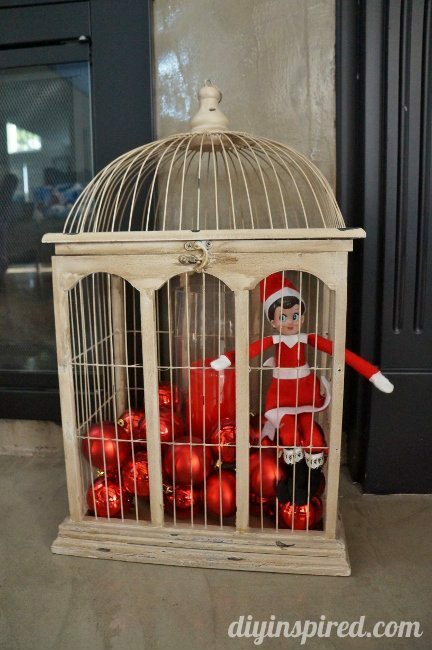 Day 19: Josie was inside a caged candle holder. 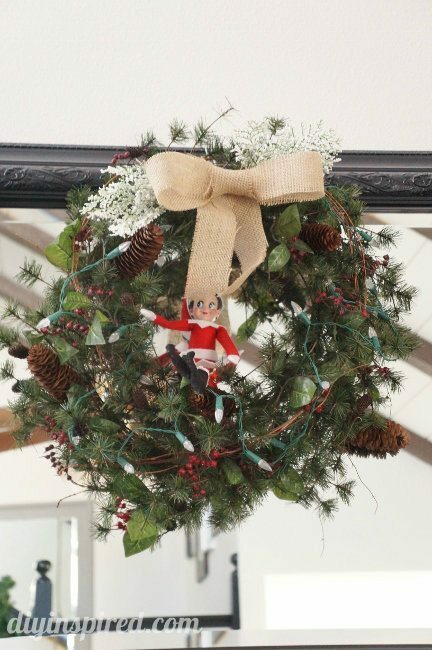 Day 20: Josie was hiding up in a wreath over the fireplace mantel. 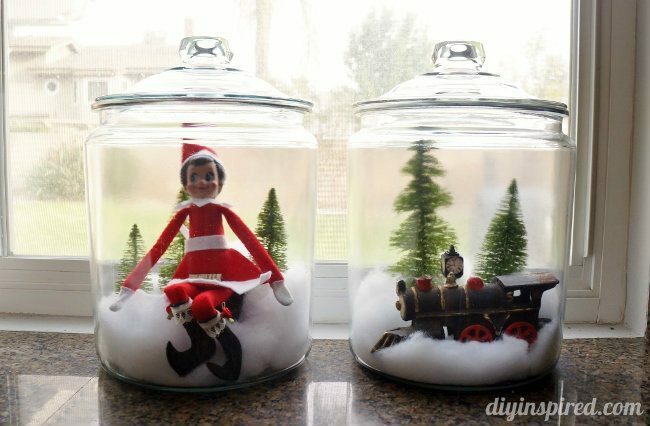 How to Make Elf Shoes – One day Mia asked why Josie did have shoes. The next day she showed up with a new pair! 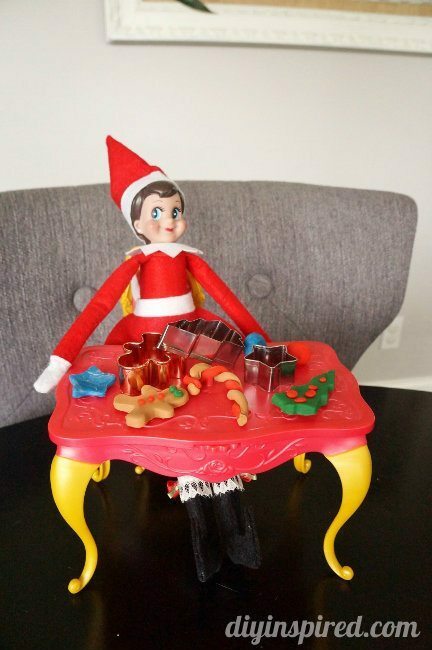 Oh, what a great blog you have ! I’m just a beginner blogger, and I was incredibly interesting to read your posts . I would be very grateful to you if you find a minute and look to my blog (http://leo-vale.blogspot.com).